Hue, Danang and Hoi An are very famous cities for cultural heritages, sunny beaches, beautiful landscape of mountains and rivers … in the Central Vietnam. They are also very close each other, so it’s convenient to travel from this city to others. Morning: Transfer from the airport or train /bus station to hotel for check in and relax. Afternoon: visit Imperial Citadel – once the seat of the Emperors of the powerful Nguyen Dynasty that ruled Vietnam from approximately 1800 to 1945. And Thien Mu pagoda – is one of the oldest and prettiest religious buildings in the country. After that, take a boat trip along the charming Perfume River before come back Hue city. 20h00. Enjoy traditional folk song and music on Perfumer river – recognized as The World intangible heritage. At the end of the performance, colored lanterns are released onto the river for luck. Free at leisure, overnight in Hue. 08h00: After breakfast and check out. Our guide and driver pick up at your hotel transfer to Danang city. 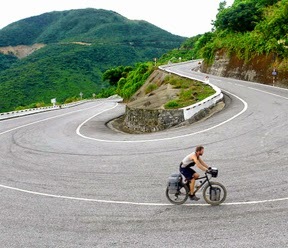 On the way, stop to visit and take pictures at: Cau Hai lagoon, Lang Co Beach, Hai Van Pass “the cloud pass” to have a panoramic view on the Vietnam East Sea. Arrive in Da Nang, stop to visit Marble Mountains and stone carving village. Arrive in Hoi An, begin the excursion around the old town with Phuc Kien temple, Tan Ky Ancient House, Japanese Bridge and cultural show rooms. Free time in Hoi An for walking and shopping around the old town or relax at Cua Dai until transfer to Danang airport for your departing flight.